Land will be leased to housing providers, reducing the costs of having to pay for land up front. The City of Vancouver has announced it will be making eight city-owned sites available to developers or non-profits to build and operate more than 1,350 units of affordable housing. Removing the cost of land will go a long way to help the projects rent for lower than market rent rates, but it’s still unclear exactly what “affordable” will mean. The city will be “looking for more funding from B.C. and the federal government to support a deeper level of affordability,” said Vancouver mayor Gregor Robertson during a press conference on May 25. The sites are located across Vancouver: two sites on the East Fraser Lands; 3279 to 3297 Vanness Ave. near Joyce Station; 1190 Burrard Street at Davie; 1210 Seymour St. in Yaletown; 1001 Kingsway; 501 Powell St. in Strathcona; and 1618 to 1680 East Hastings in the Downtown Eastside. The city plans to lease the land to the housing provider for the life of the building, or 60 to 100 years, meaning whoever develops the sites will not have to pay up front for land. Taking land costs out of the equation will help to make the economics work, said Robert Brown, the president of Catalyst Community Developments. The non-profit organization develops, owns and operates affordable rental projects across the Lower Mainland, Vancouver Island and Okanagan, with rents going to pay building mortgages or fund new developments. Catalyst is in the midst of developing two projects on City of Vancouver land: one on the East Fraser Lands and the other at Main and 6th. The projects will offer rental apartments for people with income levels between $25,000 and $65,000. The projects include three-bedroom units for families, and those are the units that will rent at a higher rate to dual-income couples with children, Brown said. Catalyst is very interested in bidding on the eight projects announced May 25, Brown said. Not all the projects require BC Housing funding to made the units affordable to lower-income people, Brown said, although it always helps, especially in cities like Vancouver where there is such a wide gap between market rents and what lower- to middle-income residents can afford. The term “affordable” has become a nebulous term, acknowledged Luke Harrison, CEO of the Vancouver Affordable Housing Agency. The May 25 press conference was held in a city park just a block away from Jubilee House, a project intended to offer a mix of welfare-rate and “low end of market” rental housing. Initially pegged at $1,164, by the time the project was completed, those “low end of market” one-bedrooms were renting for between $1,500 and $1,700 a month. “It’s questionable how affordable we can be and what kind of rents we can generate,” said Harrison, adding that, through lease terms, tenants would be guaranteed security of rental tenure. 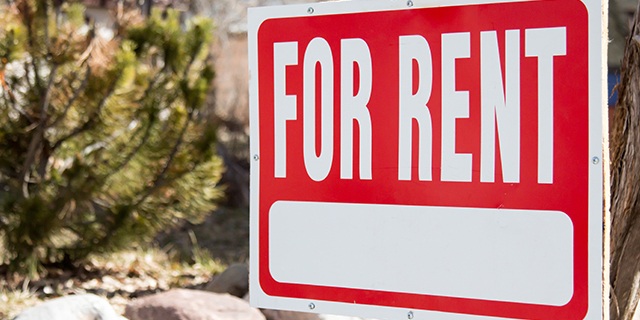 Renters in Metro Vancouver have increasingly faced the threat of eviction as vacancy rates tightened and rent rates spiked in 2016.